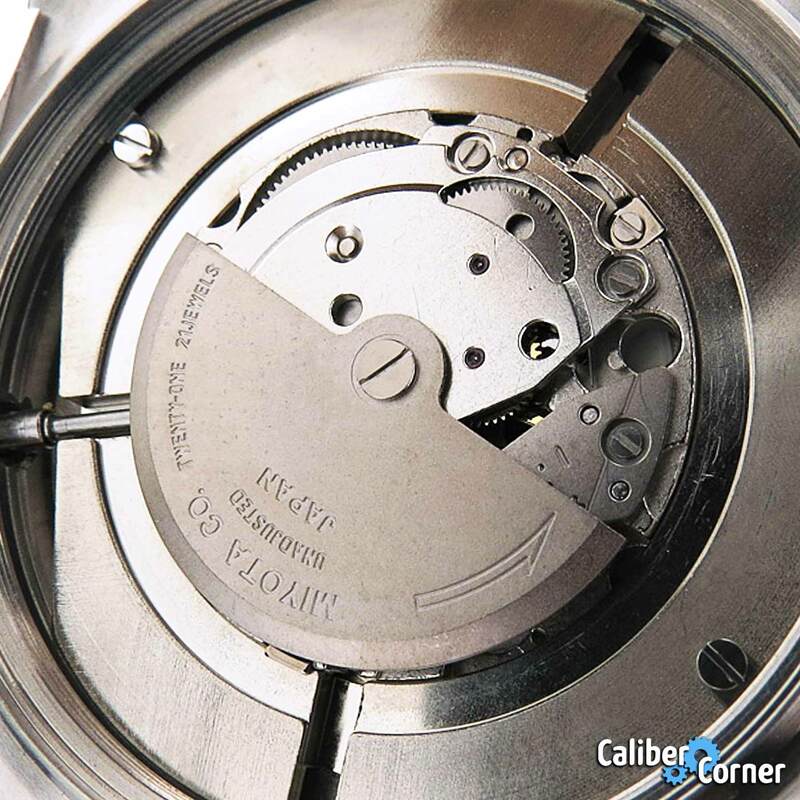 The Miyota caliber 8215 is a 21 jewel automatic movement, first introduced in 1977. 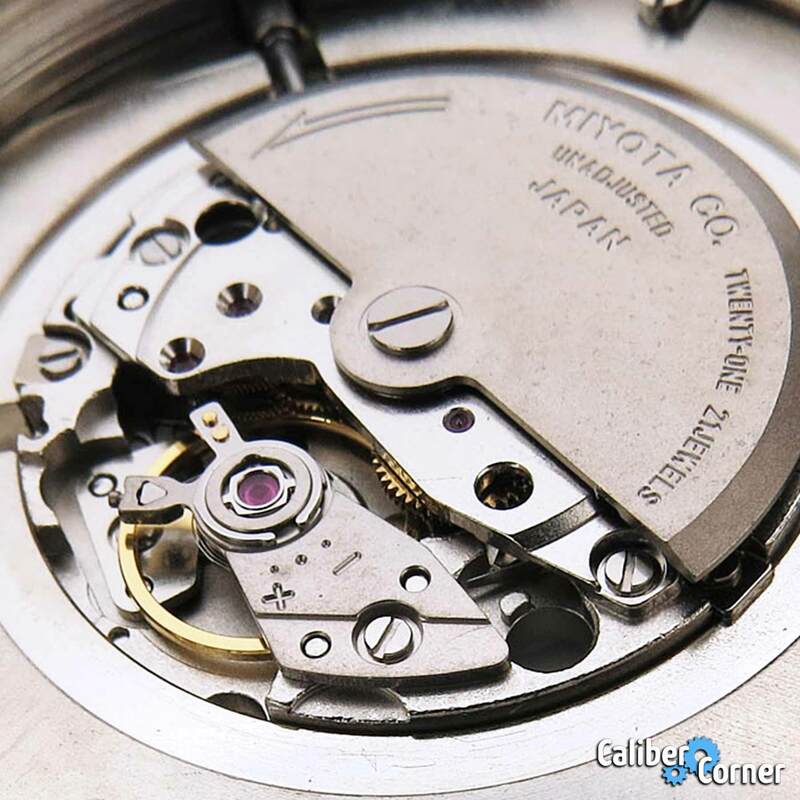 It is made in Japan and is found in many new microbrand watches because it is easily obtainable, low cost, and considered an entry level workhorse movement. 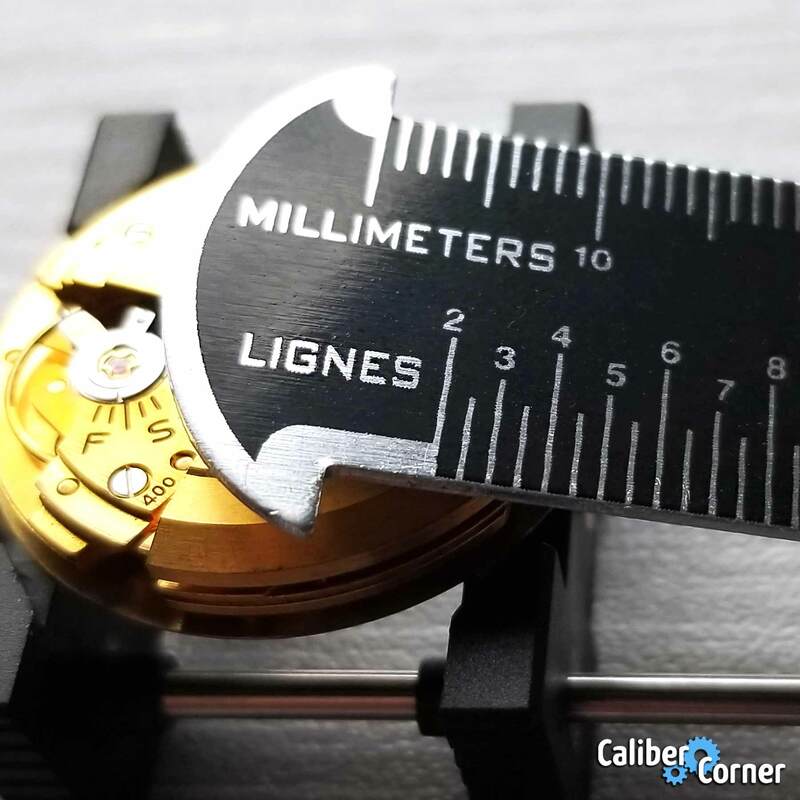 There is a caliber 8205 which is virtually the same movement as the caliber 8215 but with an additional day complication next to the date. Miyota claims the caliber 8215 has an accuracy rating of -20 ~ +40 seconds per day. This is only measured within 10 to 60 minutes from a full power reserve. To achieve full power reserve, hand-wind the crown 40 times. Power reserve or fully wound running time is about 42 hours. You can hand wind the movement while the crown is in position 0. Pull the crown out one click to position 1 to set the time. Pull the crown out again to position 2 to set the date. Do not set the date while the time is between 9:00pm and 1:00am. 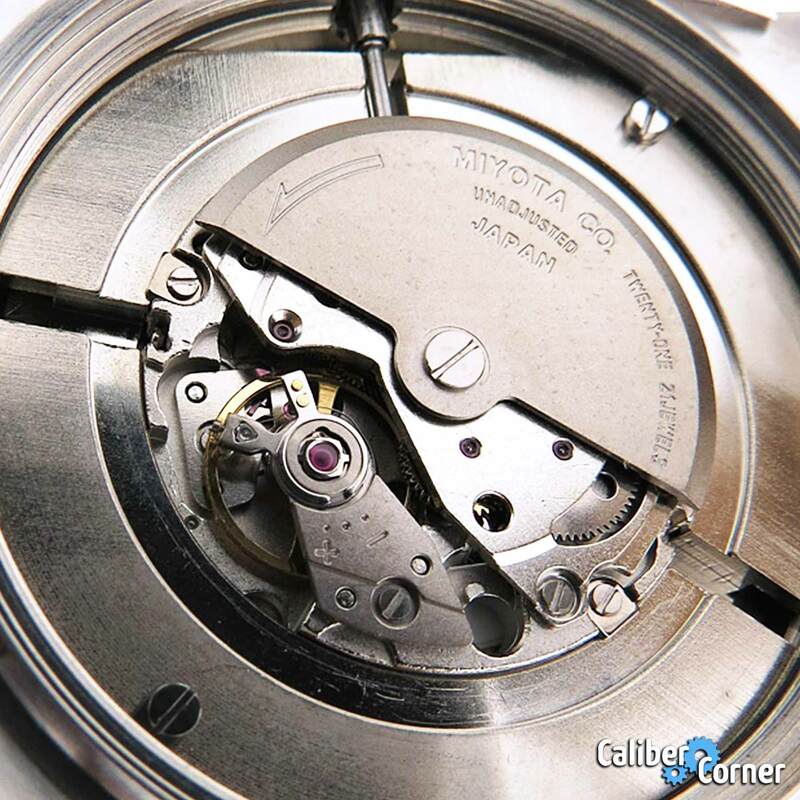 The Miyota 8215 is one of the modern automatic movements that experiences a stuttering or hesitating second hand due to the indirect-drive system for running the central seconds. Learn all about it. Replacement prices were found online in the $40-50 range for individual movements. 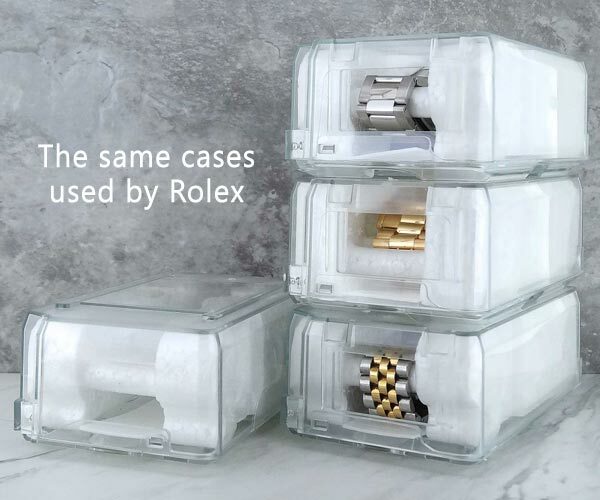 When ordering wholesale, the caliber 8215 comes in packages of 300. 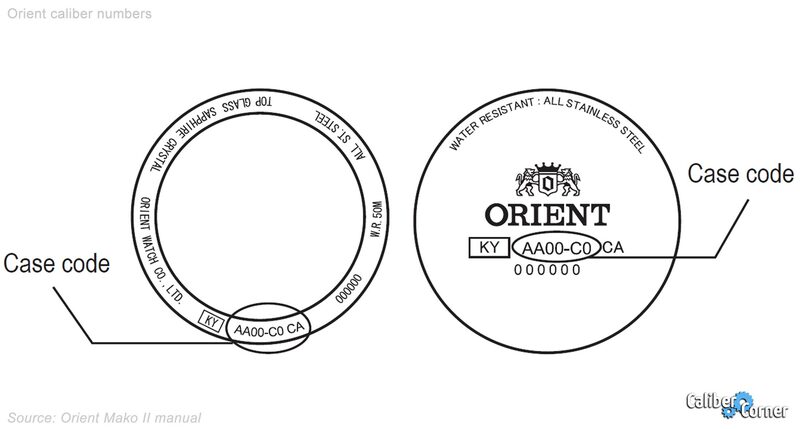 They are available with a higher quality “fine finishing.” Although the plastic movement holder (part 500-710) is more common in affordable watches, this is interchangeable with a metal ring (502-008). Click here to buy a replacement Miyota 8215 movement for your watch. The photos below are from a Vostok N1 Rocket. And in some Parnis watches as well. Also found running older Gigandet, the Gavox Legacy, optional in Tiger-Concept and some Parnis. Thank you for sharing. If you have a photo available, we’d love to post it. Seems my Casima, model CA-6913, is also on Miyota 8215. Pic on my Instagram account or tag casimawatch. Also used in the Junkers g38 automatic date. Thank you for adding this model to the list! Is the price point for the 96A120 worth the movement? That is a great looking watch! At $183.83 if you like the style, then it’s worth every penny. 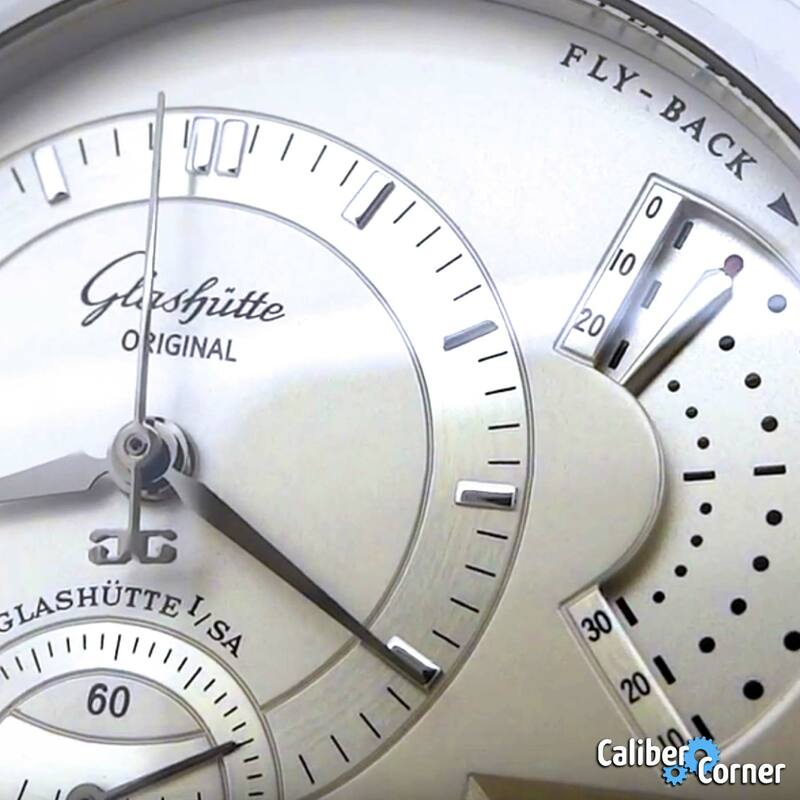 The movement is in many excellent microbrands and affordable watches worth buying. I really like the 98A178 model, still worth the price (currently $346.76) ? 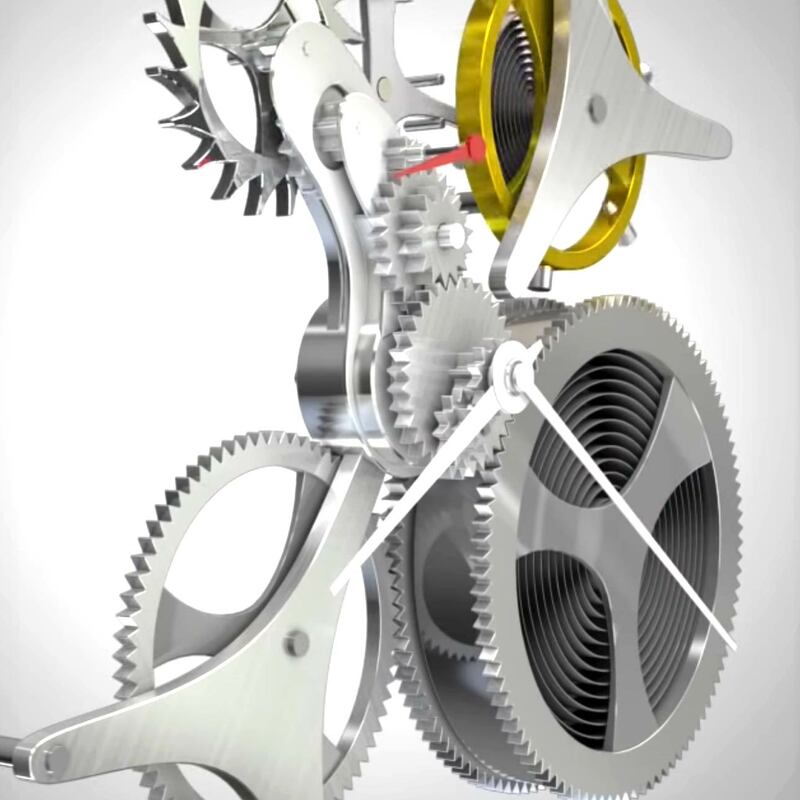 Many Rotary automatics also use the 8215 movement. Hi Jack, thank you for adding this model to the list! 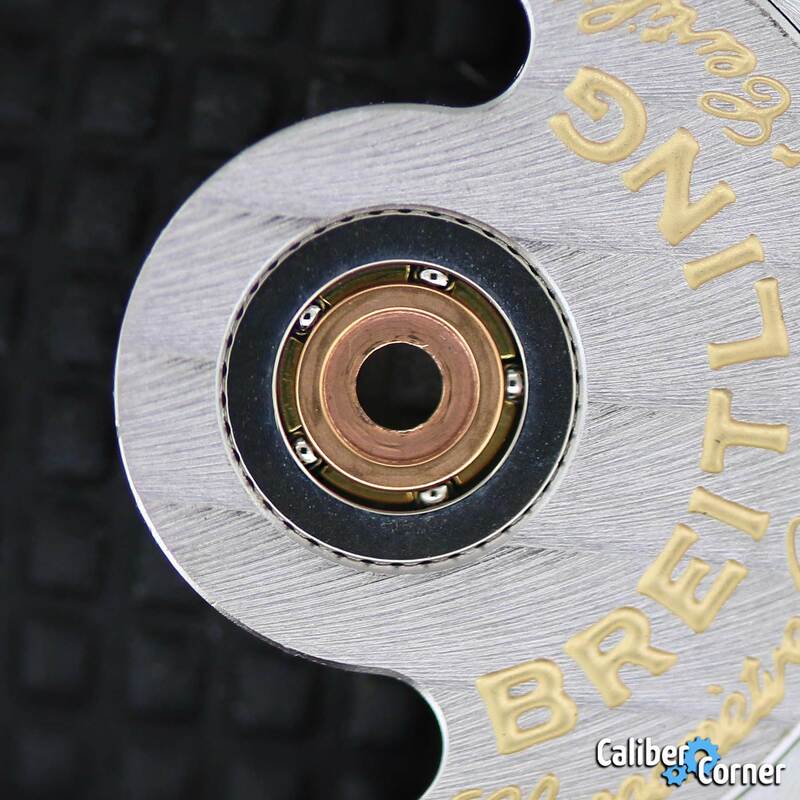 This movement is also found in some Bernhardt brand watches. 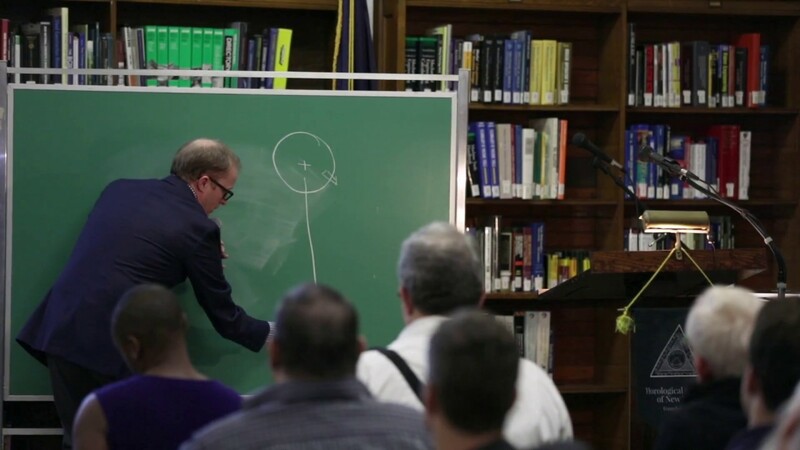 Binnacle line. Hello, I use a spec ops watch from Praetorian Germany. It uses this caliber for its Signifier watches. Very similar too the Marathon Gsar. I have it in pvd, looks lovely, and really does perform admirably. I’ve found it keeps good time, no hacking which is a pain, but not the end of the world. Also found in the Storm London AutoTec and Royal London Westminster. 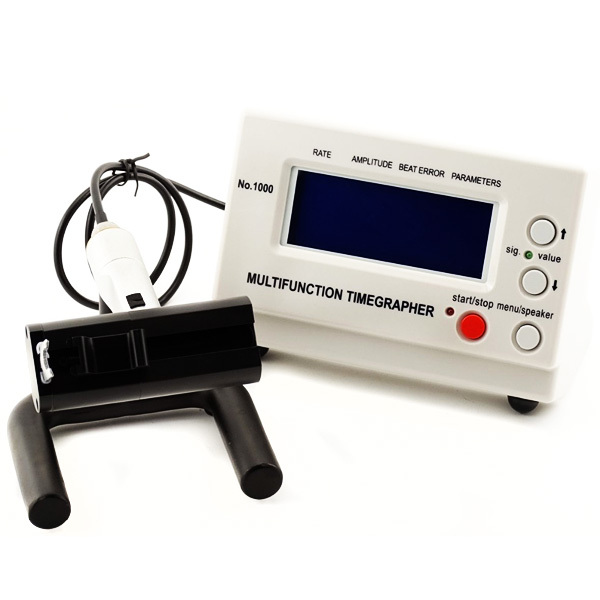 Also used in the Fiyta Photographer Skeleton. I love my 8215 watches, but I don’t think I’ll ever buy another non hacking watch again.